This blog/article is a rerun, but it’s important that I run it again because it involves a violation of a FEDERAL LAW…or at the very least its intent. The law is meant to inform car buyers of the official retail price suggested by the car manufacturer. The U.S. Senator who drafted this law, Mike Monroney, said this about his law: “The dealer who is honest about the so called ‘List Price’ cannot compete with the one who packs several hundred dollars extra into it so he can pretend to give you more on the trade-in.” Senator Monroney said this in 1958 and the only thing that has changed is that dishonest dealers are now charging several THOUSAND dollars extra. To add insult to injury, some remove both labels before delivery which is illegal. The Monroney label is the window sticker that is mandated by federal law to be affixed to every new vehicle sold in the United States up until the time the new owner takes delivery. The name, Monroney, derives from Senator Michael Monroney’s law passed by Congress in 1958. Prior to the proposal of this bill, there was often a large discrepancy between the showroom price and the actual price of a new vehicle. The fact was that existing price tags did not tell the full story. Most customer-quoted prices were for "stripped-down" models and did not include additions for preparation charges, freight charges, federal, state, and local taxes, or optional factory-installed equipment requested by the purchaser. These hidden charges were used by some dealers to increase the selling price while giving the new vehicle buyer an inflated idea of their trade-in allowance. This price confusion led to a slump in auto sales during the early 1950's. Senator Monroney's bill was designed to prevent the abuse of the new vehicle list prices, but would not, however, prevent dealers and buyers from bargaining over vehicle prices. Well, as you might expect, car dealers have figured out a way to evade this very good law. An alarmingly large number of dealers use a label that is designed to look almost identical to the official Monroney label. It has the same coloring, fonts, type size and layout. This “phony Monroney” is affixed right next to the genuine article. Unless you really look close and read all of the fine print, you will have no idea that you are looking at a counterfeit Monroney label. This phony Monroney includes extra charges to artificially inflate the manufacturer’s suggested list price, MSRP. One of the most egregious of these charges is an addition of pure markup just for profit which has a variety of names. Some of these are “Market Adjustment”, “Additional Dealer Markup”, “Adjusted Market Value”, “ADM”, “Market Adjustment Addendum” and “Market Value Adjustment”. This is simply an amount that the dealer adds to the manufacturer’s suggested retail price. It is virtually always used in high-demand, low supply cars. I have seen these labels with charges as much as $10,000 added to the MSRP. Additions of $1,500 to $3,995 are common. 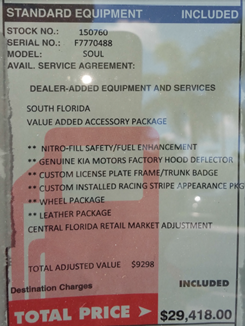 Dealers also use the counterfeit labels to price dealer-installed accessories, which are OK, as long as the accessories are not marked up higher than the manufacturer marks them up. When customers confuse the phony Monroney with the real one, this distorts their point of reference for comparing prices between different dealerships. One manufacturer’s Monroney labels are consistent. A 2016 Honda Accord with the same factory accessories will have the same MSRP at every Honda dealership you visit. But if dealers fool you into thinking their label is part of the Monroney, you are not comparing “apples and apples”. This can adversely affect a good buying decision in a number of ways. Some buyers focus mainly on how big a trade-in allowance they can get for their old car. If one dealer has the same car marked up $3,000 more than another dealer, he can offer you $3,000 more for your trade and still make the same profit as the other dealer. Some buyers focus on how big a discount they get from “sticker”. It’s easy to give a higher discount if you have artificially inflated the MSRP by thousands of dollars. My advice to you is carefully inspect the sticker on the new car you are contemplating buying. Read it completely and especially the fine print. If there is a second label on the car, it is possible that it is fair. This would be for purposes of adding an item, installed by the dealer like floor mats or stripes, priced the same as the manufacturer charges. If that second label includes a markup over MSRP for no reason other than profit for the dealer, make sure that you adjust for that number in your comparisons for discounts and trade-in allowance. Some dealers also add a second markup to these labels and that is the infamous “dealer fee” also sometimes called “doc fee” and “dealer prep”. Some dealers do not put this on the phony Monroney but print it on their buyer’s orders and program it into their computers. One of the most popular weapons in car dealers’ arsenals is the infamous “lease flip”. This is car dealer jargon for switching a customer who originally intended to buy a car to leasing the car. Of course the motivation to do this is more profit for the dealer and a bigger commission to the salesman. That’s not to say that leasing a car is always more costly than buying one, but it can be if you’re not careful. And not being careful is exactly what happens when a purchase intender becomes a lessee. Here’s how it happens. You come into the dealership to buy a car. You may have seen the dealer’s advertisement in the newspaper or TV for a particular model. More than likely you are prepared to make a down payment and/or trade in your old vehicle. You have a monthly payment in mind because almost everybody has a budget and we usually translate most purchases into whether or not we can fit them into our monthly budgets. You negotiate the best price you can to buy the car, or maybe the sale price is good enough. Now the salesman or more often the F&I manager/business manager tells you what your monthly payment will be. Let’s say that you have a trade-in worth $15,000 and aren’t going to put any cash down. The F&I [Finance and Insurance] manager tells you your monthly payment will be $427 per month. But that’s way more than you can afford and you tell him you can’t buy the car because you can’t afford that big a payment. He asks you how much you can afford and you tell him it must be under $350 per month. Now he has you set up perfectly for the “lease flip”. “Mrs. Smith, I think I have just the right thing for you. What would you say if I told you that you can drive that new car home today for just $349 per month?” You say, “With glee, you say we have a deal!” Guess what? 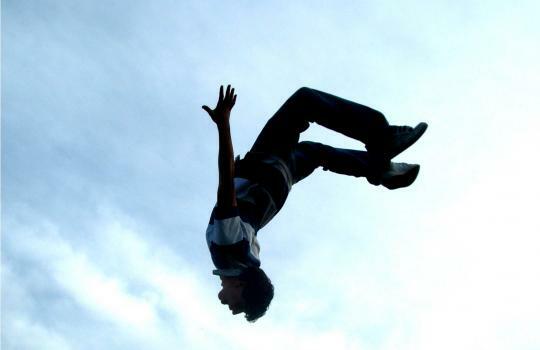 You’ve just been flipped. If you had bought the car at the advertised price or negotiated a very good price, the dealer probably would have made about $1,000 profit, and the salesman would have made about a $200 commission. Not that you’ve let yourself be flipped to lease, the dealer could be making $15,000 and the salesman could be making a $3,000 commission! I’m not exaggerating. I get calls weekly from victims of lease flips. Many of the callers are elderly and many of them are widows who never bought a car before, but had relied on their husbands. There’s no law that limits the profit that a dealer can make when he sells or leases a car. $10,000, $15,000, and even $20,000 profits are made and usually on leases. The dealers can do this by using the trade-in as a capital cost reduction on the lease but allowing less for the trade than it is actually worth. In the example above, your trade-in may be worth $15,000 but you were allowed only $5,000 to reduce the capitalized costs of the lease. Also, the dealer could have raised the price of the car you negotiated or the sale price to MSRP or even 110% of MSRP which is allowable by the leasing companies. By manipulating the number of months of the lease and the down payment [capitalized cost reduction], a dealer can give you as low a payment as you ask for and still make an exorbitant profit. Most buyers are so focused on monthly payments that they don’t carefully analyze what they are agreeing to and signing. The shorter the number of months of a lease, the greater impact the down payment has on the monthly payment. A $5,000 down payment reduces the monthly payment on a 36 month lease by $139 per month, $208 on a 24 month lease, and $417 on 12 month lease. Incredibly many victims of the lease flip, never thought about the fact that after the 12, 24, or 36 month term of the lease, they own nothing. After 36 months, a car with a good resale value should be worth at least half of what you paid for it. Many people who have never leased before think they can bring their lease car back early if they want. Leasing is not renting and you can bring your car back early only if you make all of the remaining lease payments. If you had bought the car for $30,000 and financed it for 36 months, you would have about $15,000 in equity at the end of 36 months and no monthly payments. You were building equity with every monthly payment in the purchase but you were building zero equity with your 36 lease payments. I started in the retail auto business in 1968, 48 years ago, and I have seen a lot of changes in the way we dealers sell cars and the expectations of our customers. My remarks in this column are made sincerely and with a positive intent toward you and your customers. I am not trying to tell you how to run your business; I am suggesting a change that will reward both you and your customers. 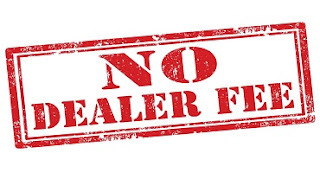 Virtually every car dealer in Florida adds a charge to the price of the cars he sells, variously referred to as a “dealer fee”, “documentary fee”, “dealer prep fee”, etc. This extra charge is printed on your buyer’s orders and is programmed into your computers. It has been capped and regulated in most states including California. You charge this fee to every customer and it ranges from a few hundred dollars to over two thousand. Florida law requires that you disclose in writing on the buyer’s order that this charge represents profit to the dealer. Florida law also requires that you include this fee in all advertised prices. You don’t always do this and you get around the law by limiting the number of advertised vehicles (as few as one). The argument that I hear from most car dealers when I raise this issue is that the dealer fee is fully disclosed to the buyer on his buyer’s order. But, most car buyers are totally unaware that they are paying this. Who reads all of the voluminous paperwork associated with buying a car? The few who notice it assume it is an “official” fee like state sales tax or license and registration fee. Those few astute buyers who do question the fee are told that your dealership must charge this fee on very car, which is simply untrue. These astute buyers are also told that all other car dealers charge similar fees. This is almost true, but, as you know, my dealership does not and neither does CarMax and a few other ethical dealers. The reason you charge this fee is simply to increase the cost of the car and your profit in such a manner that it is not noticed by your customer. This is just plain wrong. Dealers will admit this to me in private conversations and some will admit that they have considered eliminating the fee as I have, but are afraid of the drastic effect to their bottom line. By being able to count on an extra $999 in profit that the customer is not aware of or believes is an “official fee”, you can actually quote a price below cost and end up making a profit. Or, if the price you quote the customer does pay you a nice profit, you can increase that by several hundred dollars. This “extra, unseen” profit is even better for you because you don’t pay your salesmen a commission on it. That’s being unfair to your employees as well as your customers. When the rare, astute buyer objects to the dealer fee, the law permits you to decrease the quoted price of the car by the amount of the dealer fee. This would have the same net effect of removing it. The salesman won’t permit this because he will lose his commission (typically 25%) on the decrease in his commissionable gross profit. If you don’t know me, I should tell you that I don’t profess to be some “holier than thou” car dealer who was always perfect. Although, I never did anything illegal, when I look at some of my advertising and sales tactics 20+ years ago and more, I am not always proud. But, I have evolved as my customers have evolved. My customers’ expectations, level of education, and sophistication are much higher today. Your customers are no different. As I began treating my customers, and employees, better I discovered that they began treating me better. Yes, I used to charge a dealer fee ($495), and when I stopped charging it a few years ago, it was scary. But I did it because I could no longer, in good conscious, mislead my customers. Just because everybody else was doing the same thing did not make it right. Now here is the good news. My profit per car did drop by about the amount of the dealer fee when I stopped charging it. But, when my customers realized that I was now giving them a fair shake and quoting the complete out-the-door price with no “surprises” the word spread. My volume began to rise rapidly. Sure, I was making a few hundred dollars less per car, but I was selling a lot more cars! I was, and am, selling a lot of your former customers. My sales volume grew significantly! My bottom line is far better than it was when I was charging a dealer fee. You can do the same! Why am I writing this letter? I’m not going to tell you that I think of myself as the new Marshall that has come to “clean up Dodge”. In fact, I am well aware that this letter is to some extent self-serving. Lots of people will read this letter to you and learn why they should buy a car from me, not you. And, I am also aware that most dealers who read this will either get angry and ignore it or not have the courage to follow my lead. But maybe you will be the exception. If you have any interest in following my lead, call me anytime. I don’t have a secretary and I don’t screen any of my phone calls. I would love to chat with you about this. My personal cell phone number is 561 358-1474. A car dealership, or any business, is entitled to charge any price for their product they want. This is what the free enterprise system is all about. Prices by the sellers should be decided by what the buyers are willing to pay. All too often, manufacturers endeavor to influence or even control the retail price of their sellers. Sellers that are monopolies or near monopolies like Florida Power & Light and Comcast can also defeat the free enterprise system too. However, the most common threat to the consumers’ right to choose the best price is deceptive advertising by the retailers. Car dealers lead the charge in the category of deceptive advertising. This is not “just a few car” dealers as their manufacturers and dealer associations want you to believe, but is sadly true for the majority of car dealers. If you doubt I’m right about this, just click on http://www.gallup.com/poll/1654/honesty-ethics-professions.aspx. This is the Gallup annual poll on Honesty and Ethics in Professions. This poll has been conducted for over thirty years and car dealers have been ranked at or near last for every year, including last year. There is only one surefire way to get an honest and low price from a car dealer. This is by COMPETITIVE SHOPPING. This sounds simple but it’s not. Car dealers will do everything they can to prevent you from comparing their price. Their advertised prices are almost always lower than the actual price. When you ask for a price by phone, email, or in person, they will usually refuse to give you a firm price unless you commit to buy “today”. Follow this procedure with three car dealers and be sure to compare the exact same year-make-model with identical accessories. This car will have the identical MSRP on the factory sticker at each dealership you shop. Be forewarned that the car dealers will do everything they can to SWITCH you to a different car. You must remain firm on the exact car you originally chose. You must compare “apples and apples”; otherwise you will be tricked into paying the dealer more profit. There’s a simple way to communicate to the dealer what you mean by an out-the-door price. Tell him that in addition to the quoted price you will pay extra only for GOVERNMENT fees. These are fees that do not go in the dealer’s pocket but go directly to the state or local government. These are simply sales tax and the actual cost of the license tag and registration. Dealers try to confuse you by adding extra charges, often with the word “fee” included in the same. Examples are dealer fee, doc fee, notary fee, electronic (or “e”) filing fee, tag agency fee, service fee, administration fee, billing and handling fee, and on and on. If the car dealer tells you that he must charge these fees, explain that if he insists on charging them, you want them included in your out-the-door price. These charges are not really fees, but they are added profit to the dealer or reimbursement to the dealer for non-government expenses (the exact same thing as added profit) that should be included in the price of the car. The second big trick most car dealers use is DEALER INSTALLED accessories. These cheap, over-priced accessories like (nitrogen in the tires or paint protections) are always excluded from the advertised price and even the verbally quoted price. Sometimes the dealers will tell you that you must buy their installed accessories because they are pre-installed on all of their cars. Tell them that anything they must include in their price you want to know upfront so that you can shop and compare their best price with their competition.